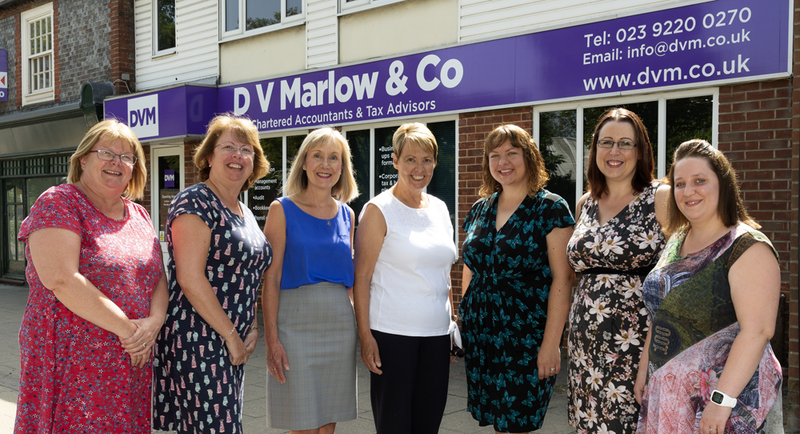 D V Marlow & Co is a well-established and highly respected local practice based in Portchester, near Fareham, Hampshire. Doreen Marlow founded the practice in 1991 and has since built it into the successful business it is today. From our offices in Portchester, our team of seven staff helps a range of clients; from individuals and ‘one-man bands’ to large businesses with a turnover of several million. We are lucky enough to have many local people as clients, as well as those from elsewhere in the UK and even some based in Europe. Doreen has built up a reputation for being a great listener, offering sound, straight-talking advice. In starting her own business, she wanted to move away from the ‘corporate’ behaviour of large firms and be able to offer a really personal service to her clients. In this respect, you can approach us at any time for advice – with queries large or small. We answer our phone calls and emails promptly, and offer continuity of staff so that you are able to deal with the same person each time and we can get to know you and your business needs. We feel that a visit to your accountant need not be intimidating or a chore. We understand your business. Our policy is to get to know you and your business, so we really understand what you do and can provide innovative, useful solutions to help you. We communicate well, and are friendly and approachable. We listen to your needs and proactively communicate with you. We also get back to you quickly when you try to contact us. We have great technical expertise. We have a very wide range of experience and technical expertise within our team, ready to be put to work for your business.